In order to make this a review without spoilers, we will not delve into the tragic aspects but a mention has to be made about how heart-wrenching this read is. Anybody who is familiar with the epic knows how the story concludes but yet there is a strange foreboding as the events take place. This book is not fast-paced but doesn’t drag either. It has a beautiful rhythm to it which flows like a song making the title appropriate. It held our attention from beginning to end. 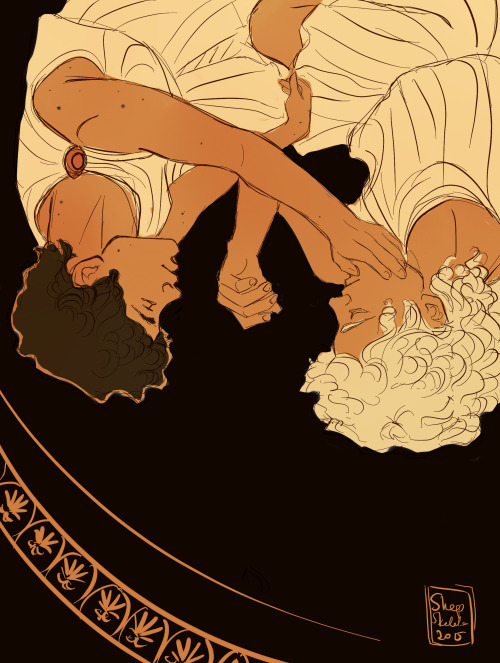 It is written in first person narrative from Patroclus’ point of view. His perception of ‘Aristos Achaion’ (Achilles) and his actions are compelling as they show a different side of him to the readers that hasn’t been thought of before. Throughout the book we experienced a plethora of emotions and the plot twist completely took us by surprise. It was fascinating to read about Greek mythology and particularly about the Gods and their scheming and plotting for vengeance. 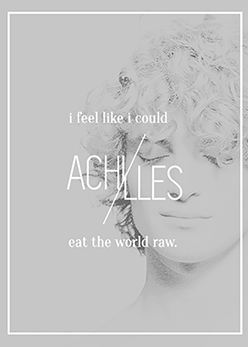 The Song of Achilles won the celebrated Orange Prize in 2012 and is one that we highly recommend you pick up soon. Travel back to the Achaean lands to be a witness to an amorous love story set in the context of a bloody war.